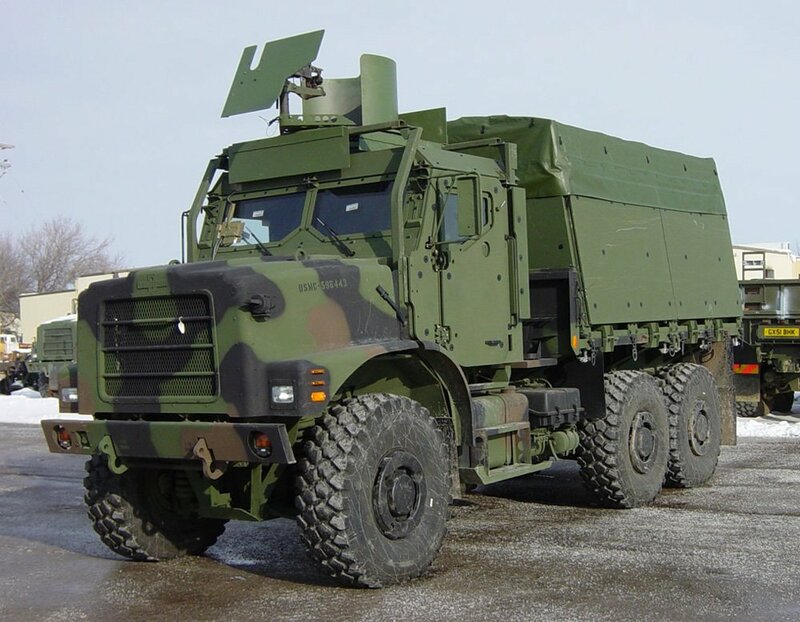 Built to go over even the roughest terrains and through the most hazardous environments, the Oshkosh Tactical Vehicle Replacement (MTVR) is a high-performance, extremely durable, all-terrain vehicle military personnel can rely on. The MTVR easily carries 15 tons over the highway and up to 7 tons off-road. And with advanced technologies like TAK-4 independent suspension and the Command Zone integrated control and diagnostics system, the MTVR has the brawn and the brains to take on any obstacle that attempts to impede the mission. With the ability to operate in the most extreme conditions, the Oshkosh MTVR provides the durability, reliability and versatility the armed forces need. And with the addition of an all-aluminum cab, a strict anti-corrosion program and total life-cycle support, the MTVR will continue to perform on any mission, every time - wherever that mission is.